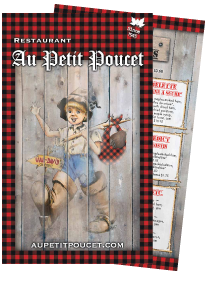 We come to the Au Petit Poucet restaurant for the best hearty BREAKFASTS and for…. AND for the FRESHNESS and QUALITY of the food: EVERYTHING IS PREPARED ON THE PREMISES. Come have a good time with us. A pleasing experience awaits you!